A talented, result oriented and resourceful Senior Executive/Strategist who unlocked the keys of successful sales and negotiation techniques. Throughout the past 30 years, Ruben helped conquer high level businesses within a competitive global market; he also mastered the art of negotiation which helped him reveal the secrets of sales deals closure and seek win-win solutions resulting in successful sizeable deals. In addition to this, Ruben conducted several workshops and trainings in the MENA region in Sales, Negotiation, and Leadership. For the past two decades, he developed and strengthened customer relations, managed multicultural teams successfully and maximized profitability and efficiency. Ruben acted as a Sales Director for over 20 years in the MENA ; this equipped him with strong Leadership and Organizational skills. He was responsible for developing the business in 12 countries and was able to manage a sales team that combined 18 nationalities spread over 8 countries. Ruben was also responsible for implementing sales strategies and global processes in the Gulf and MENA regions. He managed to achieve considerable growth throughout the years and built excellent long-term partnership with customers. He is known for the number of high level negotiations conducted with Arab and multinational companies which resulted in substantial contracts with value exceeding 100 Million Dollars. In the past three years, Ruben had been the General Manager of ”Rexam United Manufacturing Co”. He was responsible for developing the strategy in the MENA region and 19 territory and actively providing Leadership for the company employing approximately 400 employees. Moreover, Ruben leads the sales team and ensures that organizational plans and targets are implemented while maintaining a high level of quality in terms of customer relations. 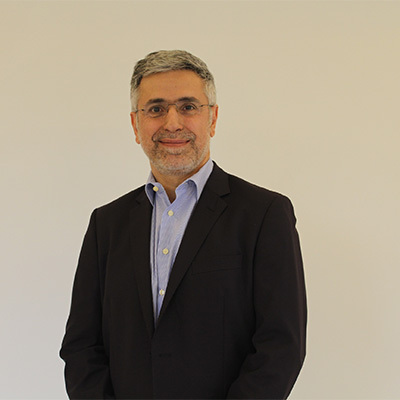 In addition to his international and professional trainings and certificates in Sales and Leadership; Ruben earned an Executive Course Diploma in Key Account Management from Cranfield University and Ashridge University. He also acquired several programs from the International Institute for Management Development (IMD): Mobilizing People Program, Building on Talent Program and Marketing & Sales Program. Ruben recently passed the IFC certification for the Corporate Directors Program. Ruben joined Tamayyaz in 2010 as a Sales and Negotiation Consultant and Facilitator; he works closely with the team to transfer his wide experience, knowledge & cultural exposure to develop individuals’ sales, Negotiation and Strategic Thinking skills & techniques.